Ever found yourself lamenting the fact that there aren't more baked goods with unibrows? 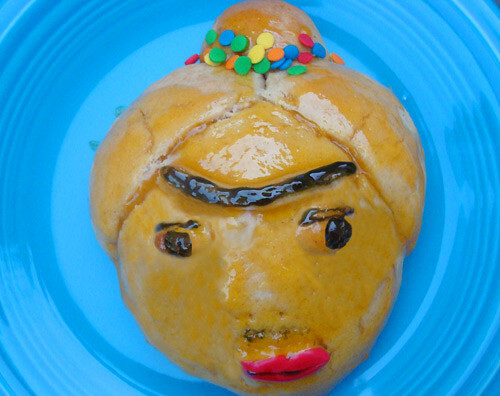 Well, lament no more: check out Frida Kahlo's Pan de Muerto recipe from this week's CakeSpy entry on Serious Eats. I discovered the recipe in Barbara Kingsolver's Animal Vegetable Miracle, but made it even awesomer by decorating the mini loaves to actually resemble the famous artist. Pan de Muerto itself has an interesting history, by the way--you can check it out here. For the full recipe and decorating tips, visit Serious Eats.